This adorable embroidery eagle head sits in front of the American Flag. 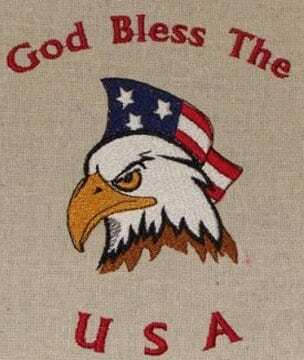 In addition, bordered with the words “God Bless the USA”. Fits the 5×7 hoop.